Slip some shrimp on the barbie as the Aussie turns the big 3-0. Oh, man, life is about to get rough for Patty Mills. First, he’s turning 30, which is over-the-hill on basketball years (unless you’re Manu Ginobili). Also, Patty now holds the title as most likely to be Pop’s whipping boy this season. Think about it. The original abused point guard, Tony Parker, has taken his talent to Charlotte. Meanwhile, the most recently abused, Danny Green, will be bundling up 9 months out of the year on Toronto (at least until his contract expires in 11 months). Patty has definitely been the focal point of Pounders ire in the last season since signing a 4-year/$50M contract. Always the mention in imaginary trade negotiations, the Australian point guard has been with the Silver & Black for a while now. Don’t look now, but he is the most tenured non-Argentinian Spur. That in and of itself is impressive in a fast moving, oft-trading NBA. Were it not for a i jury at the end of the 2014 title run, Patty may have left for greener pastures long ago. But re-sign he did, and with him the spark off the bench. 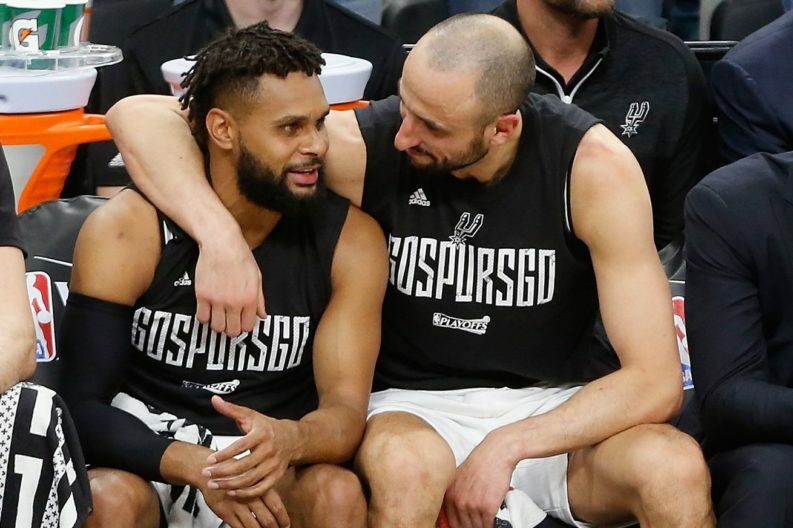 His presence quite possibly a consideration in both the signing of LaMarcus Aldridge and the most recent return of Manu, Patty Mills is a force with which to be reckoned. Like him, love him, or whine about his paychecks, one thing is for sure, when Pop needs a three and some hysteria thrown at the other team, he calls on #8.